Boulder City has a new planning commissioner after City Council appointed the newest member during its meeting Tuesday. Celia Shortt Goodyear/Boulder City Review Bill Wilson is sworn into the Parks and Recreation Commission by City Clerk Lorene Krumm at the City Council meeting Tuesday, Sept. 11. Celia Shortt Goodyear/Boulder City Review Mayor Rod Woodbury makes a comment at the City Council meeting Tuesday, Sept. 11. Celia Shortt Goodyear/Boulder City Review Councilwoman Peggy Leavitt listens to a presentation at the City Council meeting Tuesday, Sept. 11. 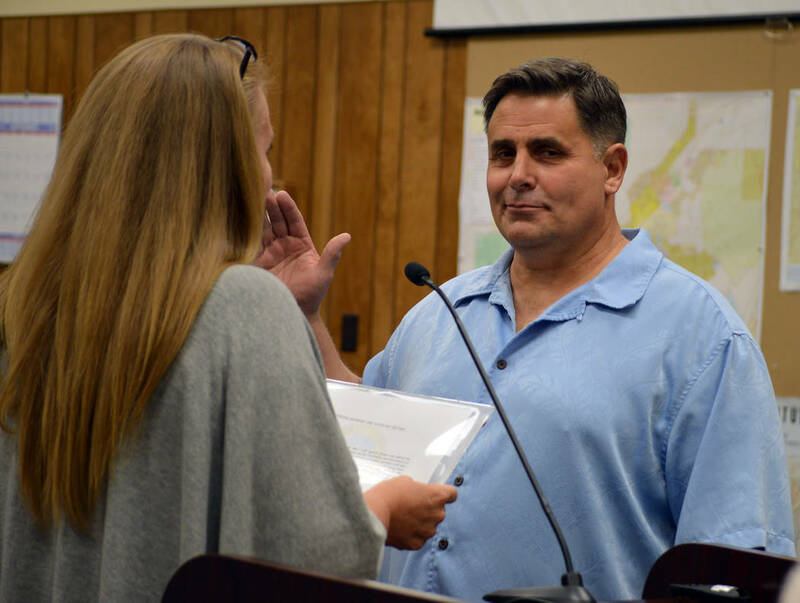 Longtime resident and Realtor Nate Lasoff was appointed to the Planning Commission by the council members with three affirmative votes cast by Mayor Rod Woodbury, Councilwoman Peggy Leavitt and Councilman Rich Shuman. “I feel like I can uniquely balance the needs of the city with the commission. 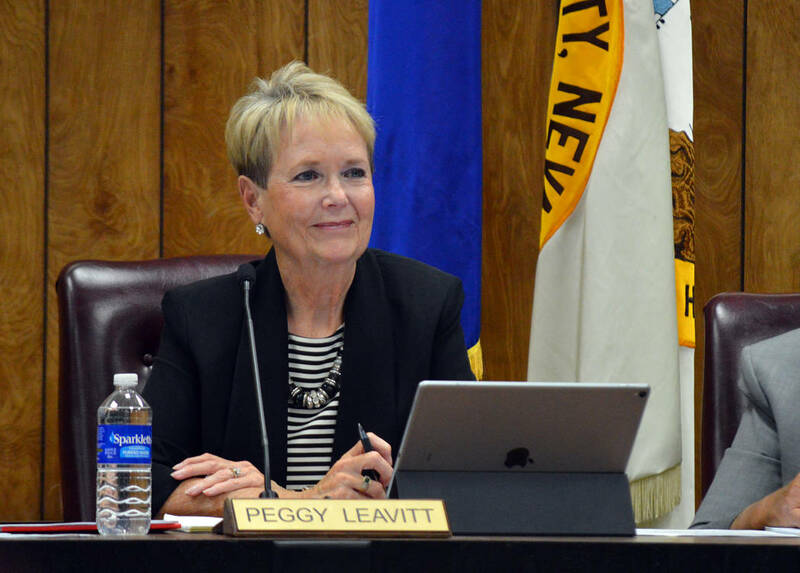 … I would appreciate the opportunity to serve,” said Lasoff at the meeting on Sept. 11. Lasoff is a Realtor with Desert Sun Realty as well as its marketing manager. He’s lived in Boulder City for more than 20 years and fills the spot left by former planning commissioner Tom Clements, who died unexpectedly in August. In addition to Lasoff, longtime resident Matt DiTeresa was nominated by the council. DiTeresa said he has more than 30 years experience in building trades and was familiar with those issues. 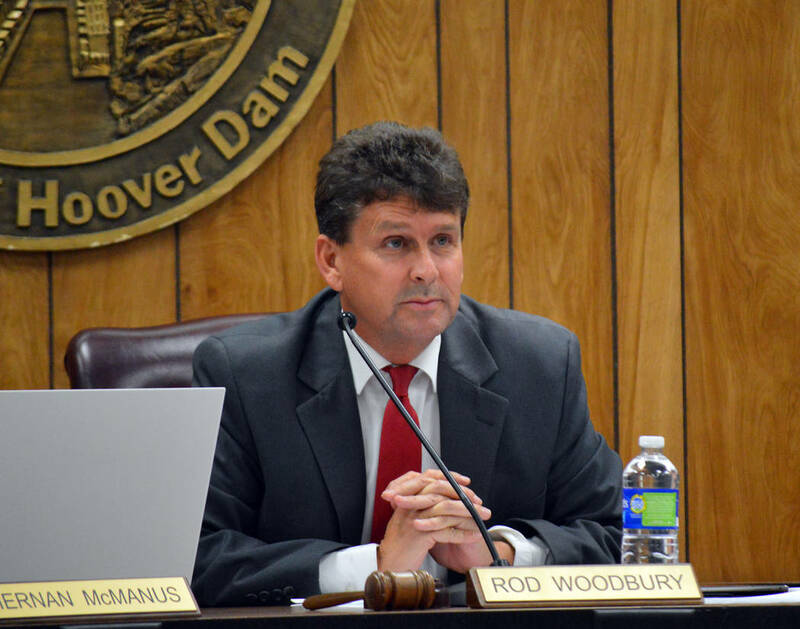 Councilman Kiernan McManus nominated him, which was supported by Councilman Warren Harhay. Harhay said Clements gave diversity to the commission and he wanted to maintain that and believed DiTeresa could help provide it. McManus and Harhay cast affirmative votes for DiTeresa. Council members thanked those who applied for the commission for their willingness to serve and encouraged them to continue. At the meeting, council also approved amending the capital improvement plan to move $18,213 from the unassigned fund balance to the general fund to convert the light system in the Parks and Recreation Department’s newer gym to LED lights. With the change there would still be more than $15 million in the unassigned fund balance. Council also approved amending the plan so that a fire truck can be replaced in the future and to recognize that the roof of the old water filtration plant had been replaced at no cost to the city. ■ Approved establishing a new office of emergency management. No additional personnel or facilities are needed. ■ Heard a presentation from Joe Ramallo and Louis Ting of Los Angeles Department of Water and Power about the proposed Hoover Dam pipeline and pump station. ■ Approved two special event promotion grants. One was for the Boulder City United Methodist Church’s annual pumpkin patch event in the amount of $468. The other was for Boulder City Sunrise Rotary’s Wurst Festival in the amount of $3,665. ■ Appointed Ross Johnson and Bill Bruninga and re-appointed to Mary Ann Wainwright to the city’s Charter Commission.